King of Avalon: Dragon Warfare is a strategy game to flourish your kingdom after King Arthur’s death left an empty throne. Raise your dragon and build your army in the quest to lift Excalibur and become the King. In this King of Avalon: Dragon Warfare game guide video for PC you will learn of strategies implored by one of our avid gamers in our Community whose screen name is RevanTheLegend. Mobile games are built for a smaller screen. However, when you play on BlueStacks you gain the advantage of not only larger screen real estate but there are no worries about battery drain, the ability to handle intense graphics nor anyone interrupting with a call. After waiting the timer, we unhatched a dragon egg and name her “Bastila”. This particular dragon is a Lord’s best friend and possess two kinds of skills “Guardian” and “Assault”, use them wisely to your advantage. 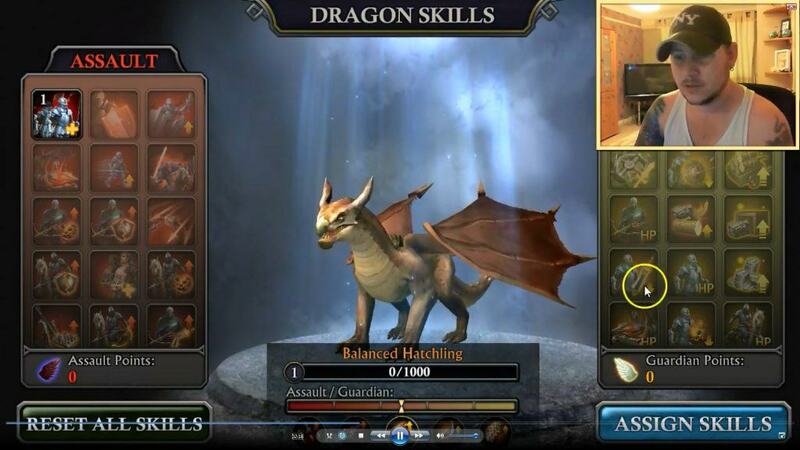 One of the first things you will want to do after hatching a Dragon (or periodically when playing) is to upgrade, enhance and assign skills. To put your Dragon to battle you will need to withdraw from your city and visit the Kingdom. Here is where you can find other player’s city in the game and attack by tapping the Hunt icon. The key to victory involves pairing stats against your own. Of course your stats should be higher than an opponent’s for the likelihood of winning. To check this, go to a foe and click on them seeking “Recommended Troop Power”. When you tap “Attack” you will see your “Troop Power” in the upper right corner to judge the match and march. There is a timer to march towards enemies so you will have to wait this duration to attack. Hopefully this guide and video illustrates how to get started attacking with Dragons in King of Avalon. Stay tuned for more game guides of this series.